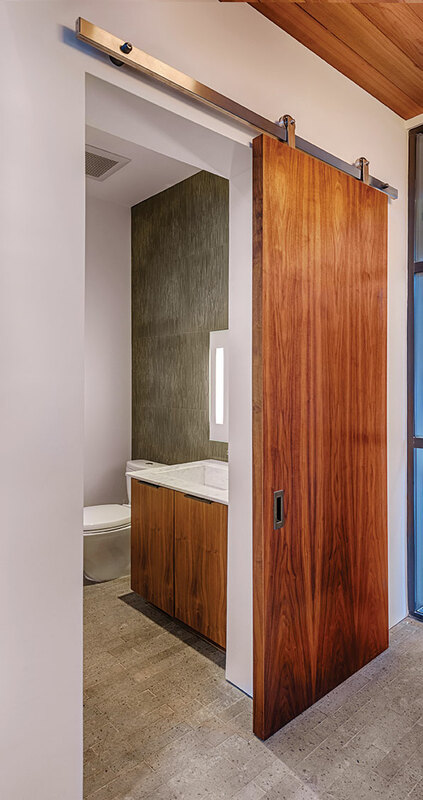 TQ’s Home Awards panel noticed a trend that caught their eye when touring homes this year—sliding barn doors. From sleek, modern homes to those actually replete with reclaimed barnwood, the doors popped up again and again as we made our rounds. The trend—particularly in Martis Camp—may come from Martis Camp’s Family Barn communal building, or may be just a trend amongst homeowners that is self-perpetuating, says Julie Johnson Holland of JJH Interior Design.